As an experienced Salesforce architect or developer, your job is as dynamic as your organization and its users. You don’t just need to design a sharing model, Force.com applications, and SOQL queries that meet your company’s current security, page performance, and data requirements; you must also design an architecture that can scale to support your organization’s future data volumes and user bases. So why chance facing additional work and long wait times later, or wishing that you had a time-traveling Delorean to hop in? Just attend Technical Enablement’s sessions and workshops at Dreamforce to learn a few performance-related best practices, test what you learned in a hands-on environment, and scale your organization to success. As a Salesforce architect or developer, your job is as dynamic as your organization and its users. You don’t just need to design a sharing model, Force.com applications, and SOQL queries that meet your company’s current security, page performance, and data requirements; you must also design an architecture that can scale to support your organization’s future data volumes and user bases. What “gets the job done” in your organization now might cause performance problems later, and when those problems surface, you might need to rebuild your solution and your users’ trust. So why chance facing additional work and long wait times, or wishing that you had a time-traveling Delorean to hop in? To plan for your organization’s best possible future, follow some expert report, formula, and Visualforce page design techniques, which you can learn and put into practice at Dreamforce ’13. We’re looking forward to meeting you and working with you, and we hope that you return to your company as an even more well-rounded and experienced Salesforce architect or developer! At Dreamforce ‘13, Technical Enablement is taking what we have learned on the job and in our customer investigations, and delivering those lessons in three session-workshop pairs. (You don’t need to attend a session to attend its companion workshop, or vice versa, but attending both will give you the best conceptual-practical foundation.) The workshops appear in salesforce.com’s first-ever architect-level workbook, the Scaling to Success Workbook, which teaches you how to create reports that fly, implement formula fields that improve your query performance, and build efficient Visualforce pages for your users. In Salesforce, the foundation of reporting is the retrieval of an organization’s data. If your data isn’t retrieved efficiently, your reports might run slowly and time out, frustrating your users. Attend this session and its workshop to learn how to build reports that fly and put the data your users need at their fingertips. Session: Monday, November 18, 4:15-5 p.m.
Wednesday, November 20, 1-1:45 p.m.
Thursday, November 21, 1-1:45 p.m.
Do your formulas run more like a wagon than a sports car, dragging down your page and query response times? Attend this session and its workshop to get an “under the hood” view of the Force.com formula engine and learn how to use formula fields to maximize your query performance. 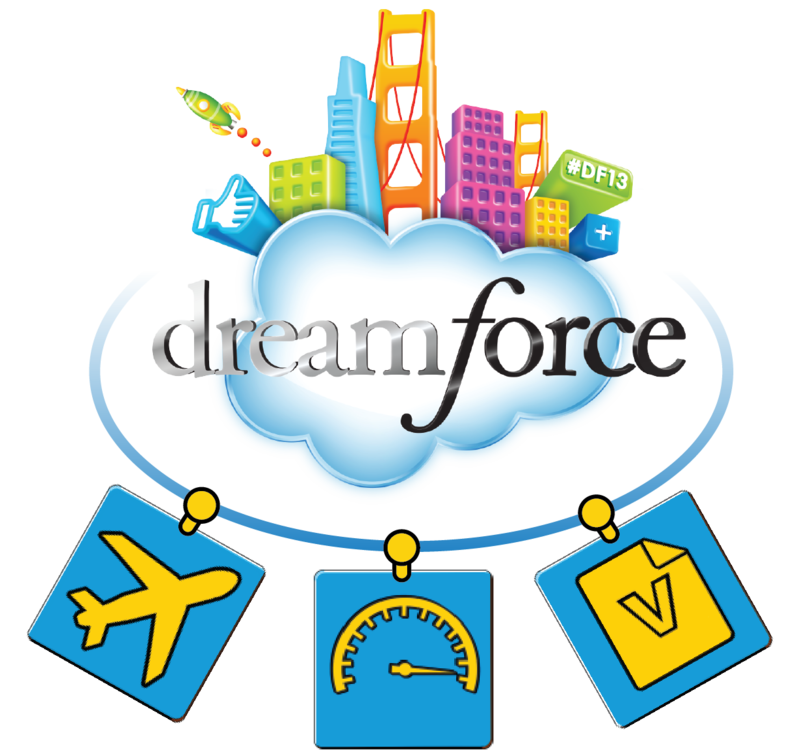 Monday, November 18, 1-1:45 p.m.
Wednesday, November 20, 9:15-10 a.m.
Wednesday, November 20, 3:45-4:30 p.m.
With Visualforce, you can develop custom UIs for your Salesforce and Force.com desktop and mobile apps, and implement pages and controllers as you see fit. But what should you do if your Visualforce pages become slow and unresponsive? Attend this session and its workshop to learn both how to tune your Visualforce pages and how to find page problems using a powerful third-party tool. Session: Tuesday, November 19, 2:45-3:30 p.m.
Wednesday, November 20, noon-12:45 p.m.
Thursday, November 21, 11-11:45 a.m. If you aren’t able to attend a session, a workshop, or even all of Dreamforce, don’t worry. Many of the resources that we’ll be referring to at Dreamforce are featured on our Architect Core Resources page, where we add new blog posts, articles, and webinar recordings throughout the year. We consider ourselves lifelong learners, and we’re always eager to share the best practices we have picked up, implemented, and tested to help you implement technically sound salesforce.com solutions in your organization. Alex Dimitropoulos is a technical writer dedicated to the Technical Enablement team of the salesforce.com Customer-Centric Engineering group. The team’s mission is to help customers understand how to implement sound Salesforce solutions. Check out all of the resources that this team maintains on the Architect Core Resources page of Developer Force.